Wonderful Gardens Landscape Design is an innovative and contemporary garden design and landscaping company based in Surrey, Kent & Greater London. We specialise in designing contemporary style gardens of all sizes for people living across the areas, and are dedicated to creating stunning, life-enhancing landscape gardens for all our clients. Not only that, but we use the most advanced methods in garden planning and landscaping to ensure each design is not only original but looks fantastic. 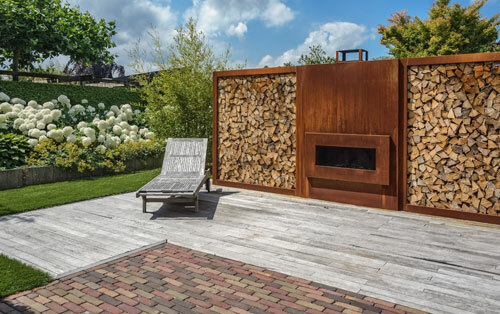 Growing in popularity over the past two decades, contemporary garden design is a great reflection of new fashions and the way in which we live our modern lives. By working with our clients closely we are able to produce garden design solutions and offer complete landscaping services, tailored to each individual’s lifestyle and requirements. How do we do this? By understanding our client’s personal style and establishing which colours, shapes, and themes they are looking to achieve. This includes the entertaining space needed, the planting they desire, structure, sound, water, lawn space and so on. 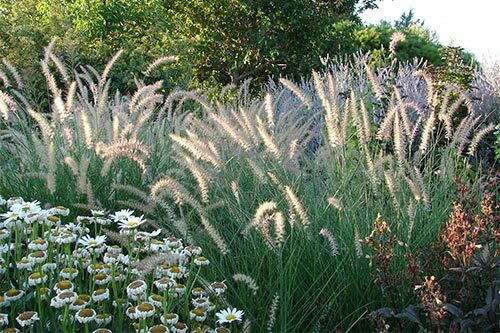 Certain parts of the garden design process can often be confusing due to an endless range of choice. We advise a quick tour of our client’s house in order to gain an insight into their personal style as we believe that this can work wonders in helping choose the very best garden design ideas. Focusing on more than just geometrical design, contemporary garden designers will allow the design of each garden to ebb and flow. 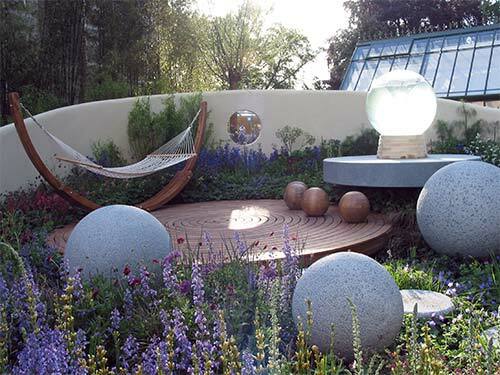 This is achieved by using interconnecting shapes and circles as well as a host of different materials to emphasise the contemporary aspects and feel of the garden. Many customers worry about the expensive nature of contemporary garden design.For this reason, it is important that our clients understand the investment they are making in their small and large garden designs. We want to ensure quality above quantity and do this by using the very best materials your investment will cover. At the initial free consultation we will take time to understand exactly what you wish to invest in and will work to meet your expectations. We are very careful when planning your landscape design and it is vital to us that we work within your specified investment boundaries. 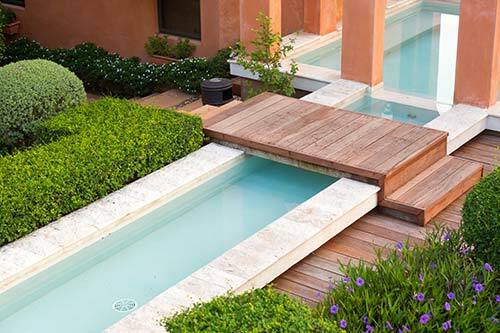 In this way we can ensure that there are no hidden and unexpected costs with our landscape design company. 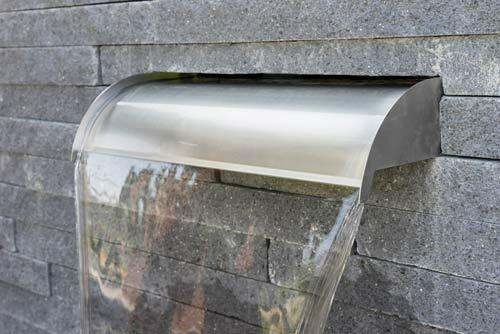 Our contempoary garden designs start at around £1,200 but are often based on 10%- 15% of the build costs. 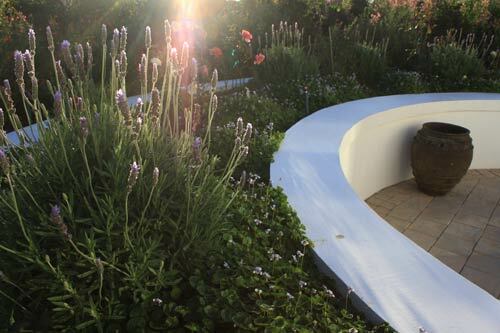 Additionally, you can recoup up to 25% of the design costs if we construct the garden for you. The initial conversation we have with you will allow the garden design team to understand exactly what you are wishing to achieve. We will discuss everything from landscaping and plants to trees and features, contemporary styles to modern architecture. In addition to the desired garden ideas, styles and themes, we will also discuss investment and availability. Next, a free consultation will be booked with one of our senior contemporary garden designers, during which we will view your garden and assess its current layout. We will also consider the aspects and ideas you have already discussed with us, and answer any questions you may have. During the survey we will take into consideration existing trees and plants, boundaries, structures and height variations in your garden. Contemporary planting mood boards are provided for larger projects whilst photographs of a variety of key plant species help clients recognise Latin names for smaller schemes. Planting is extremely important in fulfilling your contemporary garden design, and the colours you chose should reflect your personality whilst the fragrance indulges your senses. Finally, we will put together a detailed garden design proposal. Using real photos of your garden we will use innovative cutting-edge technology to overlay some design imagery to provide a taste of what your garden will look like in real life. We will also provide an investment explanation, theme plan, interpretation, landscape and planting strategies and a detailed mood board of images to convey the various thoughts, ideas and inspiration behind the design . Once you are completely happy and confident with the proposal our creative team of contemporary landscape designers will start to work on your garden design. 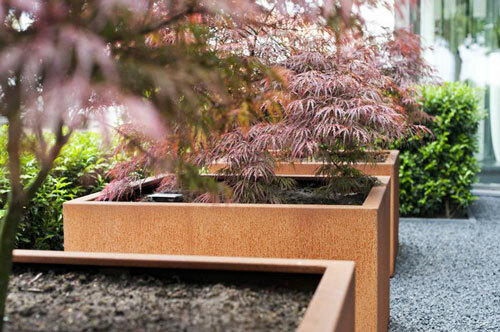 Ready to start planning the contemporary garden of your dreams? Simply complete our contact form so we can understand a little more about what you are looking to achieve and to arrange your FREE one hour consultation. After the initial consultation we will produce design proposals, which includes images relating to your style, needs and investment expectation. Within our design fee we also include a full site survey and topography survey if required, which sets out the scale and potential scope for the garden design. This is then plotted into AutoCAD as our outline for the design and time will be spent sketching out ideas through inspired images and the design brief. After that, we will plot our idea and concept into AutoCAD and when complete we then import the line drawing into PhotoShop where the design goes through a CGI process to add plants, structures, furniture and points of reference. This is further enhanced by adding shadow, embossing and detailing the design. We believe in keeping you fully informed throughout the whole process. We will send you a draft concept so we can ensure we are meeting your expectations, and of course iron out any issues that may be relevant. This makes the design process totally interactive and ensures we deliver a design that you’ll love. Once this is completed we then produce a 3D CGI concept image of one or two key areas of the garden allowing you to see the space from a different prospective. Finally, we create a planting plan and, subject to proceeding to the build stage, we also supply detail construction schematics. 0800 881 5264 Call us Today!